Today, some of us made the perfect purple paint using 2 teaspoons of blue paint to 3 teaspoons of red paint. This would give us a total of 5 teaspoons of perfect purple paint. 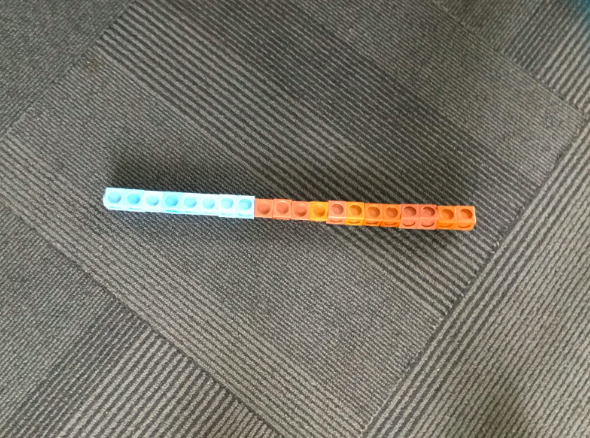 We related this to our knowledge of fractions. 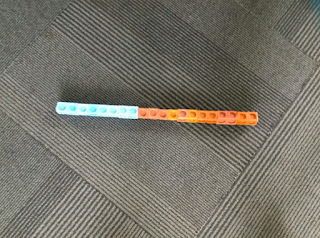 We noticed that two fifths of the mix needed to be blue and three fifths of the mix needed to be red. We talked about ratios. This perfect purple paint mix was a ratio of 2:3. We used multi link cubes to show our problem solving. We were able to get creative with our answers by making something with our cubes. Here's Jarnia and Breanna's answer. It shows that you would need a ratio of 8:12. Eight teaspoons of blue paint and 12 teaspoons of red paint to make 20 teaspoons of purple paint. Here's Caleb and Rylee's answer. 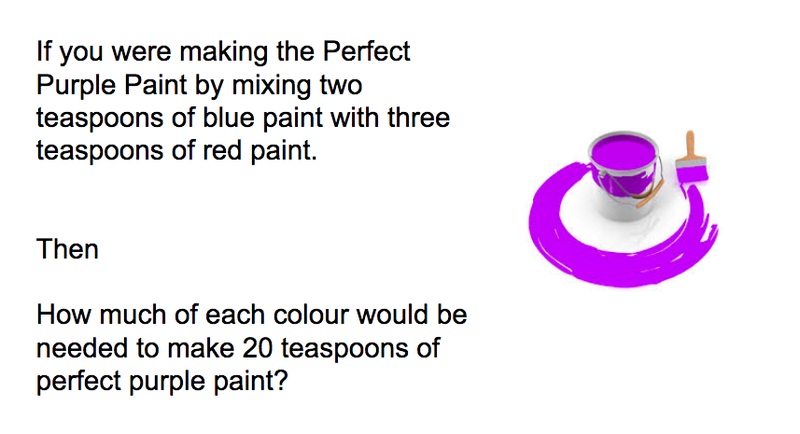 They used their multiplication skills to get an answer of 8 teaspoons of blue paint and 12 teaspoons of red paint. They displayed their answer by showing the mathematical thinking that took place. 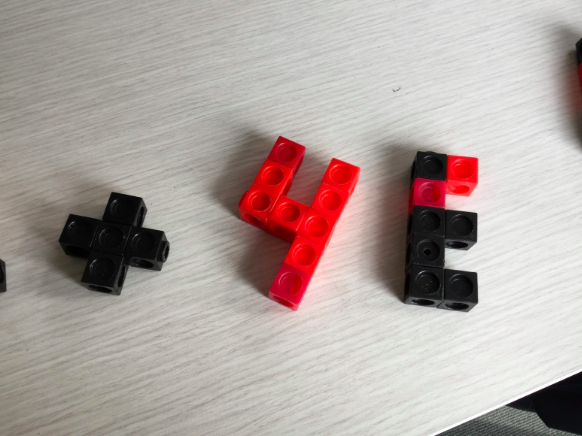 It says x 4 E which they explained represents multiply everything by 4.